Please consider buying your photo (or other) goodies through my B&H link! It won't cost you any more money, and it helps me to continue adding to the site. 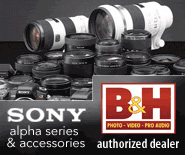 I've been buying from B&H for years, and have been very pleased with their service. They have the most efficient and convenient return policy, along with the best prices. Thanks for your support! For UK and European Union buyers; B&H can automatically calculate the "to the door" delivered price of your item including VAT, customs and tariff charges etc. 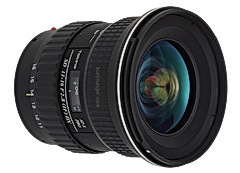 This recommended page lists lenses that I believe work well at F/2.8 or faster, and are typically used hand-held in low light, so no big lenses like the 70-200mm or 300/2.8. I'm only listing lenses that I've reviewed, owned and/or have used extensively in low light. A lens that gets a thumbs up here has to perform very well in the centers and mid-sections at F/2.8 or faster. However, I think it's ok for the extreme corners to be soft at larger apertures; it may not be noticeable with light fall-off from the lens, or in the way the image is composed. All lenses listed here in my opinion represent a good value for the performance. If I think a lens is good, but way overpriced, it probably won't show up here; or worse, if a lens is overpriced and not very good at large apertures, like this one, you definitely won't find it here, sorry. 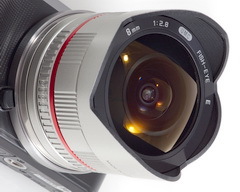 This page will be updated occasionally as newer and better lenses are released, and older models are discontinued. The Rokinon or Samyang 12mm F/2 lens is very sharp over most of the frame at F/2, making in great for low light milky way type shots. Made for many mirrorless camera systems like Canon 'M', Fuji 'X' mount, MFT, Sony 'E', and Samsung 'NX'. Black or silver for the listed systems. Rokinon seems to be the less expensive brand most of the time. 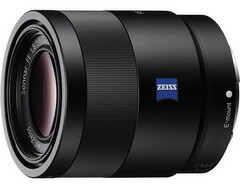 The Sony Zeiss 'FE' mount 55mm F/1.8 performs great, even wide open. Right now, easily the best prime for FE cameras. For full frame cameras, but works very well on aps-c cameras like the A6000 etc. 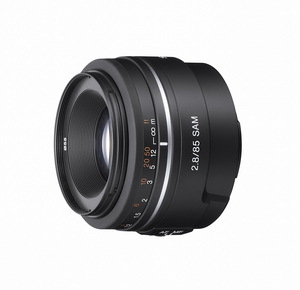 The Sony Zeiss 'E' mount 24mm F/1.8 is another top notch lens, definitely the best 'E' mount prime for aps-c cameras. Has an equivalent focal length of 36mm (in 135 film format), it makes a great low-light walk around lens, performing superbly at F/1.8. 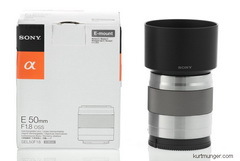 The Sony 'E' mount 50mm F/1.8 OSS is another top quality low-light lens for your 'E' mount camera, it will handle 24mp better than Sony's older full frame 50/1.4. Works quite good at F/1.8, great at F/2.8. For APS-C sensors only. The Zeiss Touit 32/1.8 is my favorite lens with this coverage. 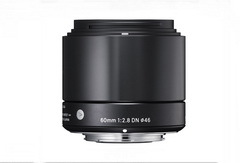 If you're looking for super high resolution, and not focusing speed or using video, this is the lens to get. It's expensive, but very sharp across the frame at F/2.8. Will easily handle much more than 24mp, making it a good long term purchase. For APS-C sensors only. 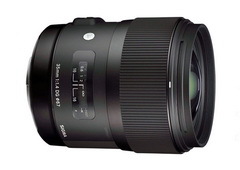 The Sigma 60mm F/2.8 is a gem, especially when you look at the price! Tack sharp in the centers at F/2.8, with some softness along the sides, but your problem for low-light use is this: you may have trouble holding it steady as there is no OSS for Sony users. MFT Olympus users can take advantage of the in-body stabilization. Coverage for APS-C and Micro 4/3. This Rokinon lens for 'E' mount is the best fisheye lens I've ever tested period! The mid-sections and corners are quite sharp even when used wide open, which is great---most fisheye lenses are mushy outside the centers unless stopped down hard! 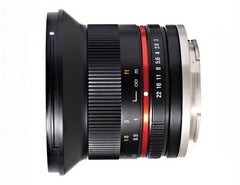 It's a manual use lens, but read the review to find out how easy it is to use. For APS-C system only. 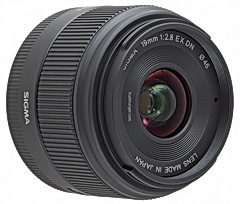 This Sigma for 'E' mount lens has an equivalent focal length of about 28mm in 135 film format. The centers and mid-sections are very sharp at F/2.8, the extreme sides are always a little soft, but who cares for low-light shots. APS-C only. 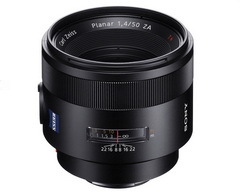 The Sony DT 35mm F/1.8 is my favorite prime lens for Sony's alpha mount. If you only have enough money to get one good lens for your alpha mount camera, this is it. The centers are sharp at F/1.8, with the mid-sections looking good at F/2.8, although the corners are soft at this aperture. A super value at a little over $200. 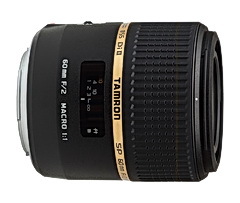 The Tamron 17-50mm F/2.8 is an excellent performer, and would make a great choice for a person on a tight budget. 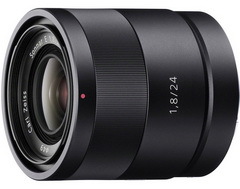 Personally, I'd try to save up for the Sony 16-50mm if at all possible, but the optical qualities are very similar between the two. Works better in low-light at the short end. 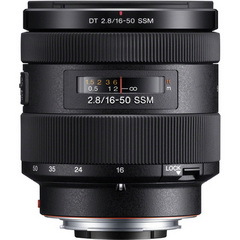 The Sony DT 16-50mm F/2.8 is my number one pick for a medium zoom, and may be the only lens you'll need if you're not a big zoom person. Excellent image quality, and fast F/2.8 all the way. 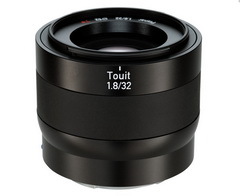 Works well at F/2.8 in both the centers and mid-sections at all but the longest focal lengths. The Tamron 60mm F/2 macro provides good image quality at F/2, but you get a nice bump in sharpness at F/2.8 in the centers and mid-sections. The corners are a little soft at large apertures. The Tokina 11-16mm super wide-angle lens performs quite well at F/2.8 through 11-14mm; 16mm is soft in the mid-sections with the aperture wide open. Watch the auto focusing, it's a hit or miss affair even in broad daylight. The best budget 50mm lens for low-light period. The Sigma 50mm F/1.4 HSM is impressively sharp at F/1.4 in the centers. Stopping down to F/2 loses the slight veiling haze, and F/2.8 becomes critically sharp in the centers, with good contrast in the mid-sections and corners, although they don't match the centers. 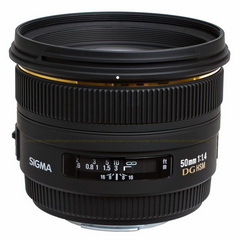 A very impressive lens, and works great at F/2.8, but so does the Sigma above. The focusing on this lens is far superior to the Sigma, and you get a focus hold button and better build quality, that's the difference. Are those features worth the extra $1000 in price? For a low-light street photographer the answer is probably yes, for a landscaper with plenty of time, no. The Sony 85mm F/2.8 is small, light-weight, and easy on the pocket book. It's pretty sharp across the entire frame at F/2.8. The Rokinon 35mm F/1.4 is a great performing low-light lens, it's impressive to say the least at F/2 across the whole frame. Manual focus and aperture, but not a big deal at 35mm. 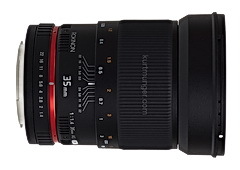 The Sigma DG 35mm F/1.4 performs about the same as the less expensive Rokinon above, but allows fully automatic exposure, including AF and aperture. 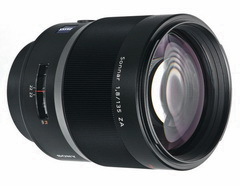 The Sony 135mm F/1.8 is a superb telephoto lens. The entire image is very sharp and contrasty at F/1.8. At this focal length, be sure to watch your focusing at close distances, the DOF is super slim! 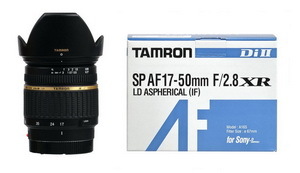 This lens is very expensive, but well worth it if this is your required focal length.